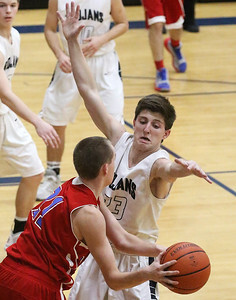 Matthew Apgar - mapgar@shawmedia.com Timothy Ohlwein of Lakes blocks a shot by Cary-Grove's Danny Schmidt, left, during their boys basketball game on Monday, Jan. 25, 2016, at Cary-Grove High School in Cary. 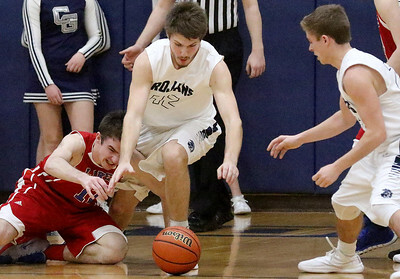 Matthew Apgar - mapgar@shawmedia.com Jordan Mercure of Lakes, left, dives for the ball with Cary-Grove's Randy Bazdor, center, and John Walsh, right, during their boys basketball game on Monday, Jan. 25, 2016, at Cary-Grove High School in Cary. 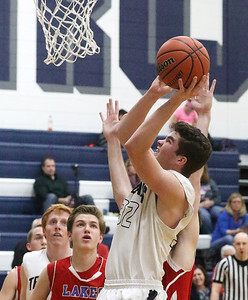 Matthew Apgar - mapgar@shawmedia.com Jordan Mercure of Lakes, right, blocks a shot by Cary-Grove's Danny Schmidt, left, during their boys basketball game on Monday, Jan. 25, 2016, at Cary-Grove High School in Cary. 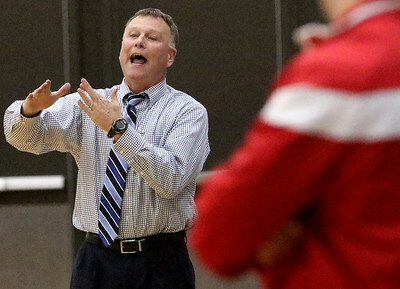 Matthew Apgar - mapgar@shawmedia.com Cary-Grove coach Ralph Schuetzle argues a call for possession trying to convince referees that the ball was tipped off of a Lakes player during their boys basketball game on Monday, Jan. 25, 2016, at Cary-Grove High School in Cary. 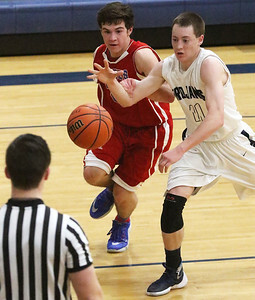 Matthew Apgar - mapgar@shawmedia.com Cary-Grove's Quinn Celske, right, reaches around Kyle Rohr of Lakes for the ball during their boys basketball game on Monday, Jan. 25, 2016, at Cary-Grove High School in Cary. 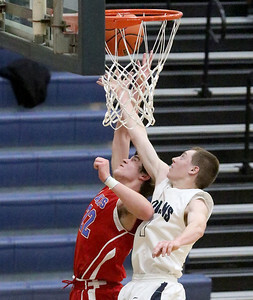 Matthew Apgar - mapgar@shawmedia.com Colton Jewell of Lakes shoots a layup as Danny Schmidt of Cary-Grove tries to block during their boys basketball game on Monday, Jan. 25, 2016, at Cary-Grove High School in Cary. 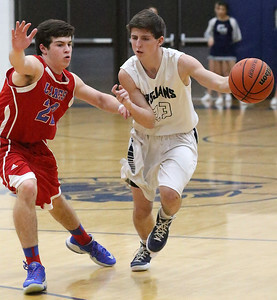 Matthew Apgar - mapgar@shawmedia.com Kyle Rohr of Lakes looks for a pass around Cary-Grove's John Walsh, left, during their boys basketball game on Monday, Jan. 25, 2016, at Cary-Grove High School in Cary. 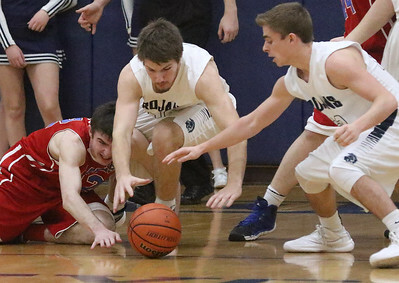 Matthew Apgar - mapgar@shawmedia.com Michael Behrendt of Lakes, left, and Cary-Grove's Zach Beagureau battle for the rebound during their boys basketball game on Monday, Jan. 25, 2016, at Cary-Grove High School in Cary. 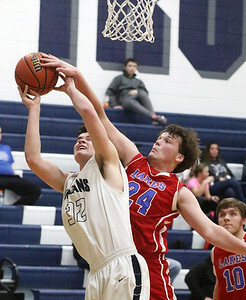 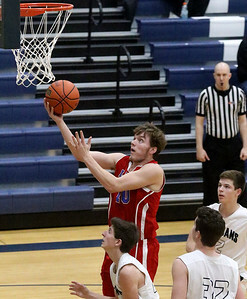 Matthew Apgar - mapgar@shawmedia.com Cary-Grove's John Walsh, right, shoots the ball over Michael Behrendt of Lakes takes on Lakes during their boys basketball game on Monday, Jan. 25, 2016, at Cary-Grove High School in Cary. 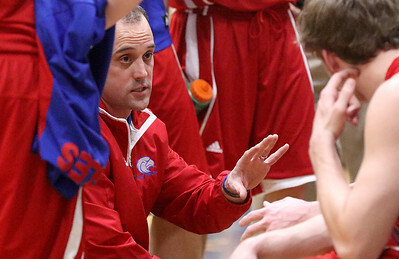 Matthew Apgar - mapgar@shawmedia.com Lakes coach Chris Snyder talks with the Eagles during a timeout in their boys basketball game against Cary-Grove on Monday, Jan. 25, 2016, at Cary-Grove High School in Cary. 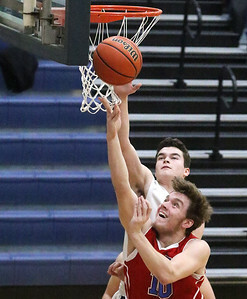 Matthew Apgar - mapgar@shawmedia.com Michael Behrendt of Lakes, left, and Cary-Grove's Zach Beagureau vie for the rebound during their boys basketball game on Monday, Jan. 25, 2016, at Cary-Grove High School in Cary. 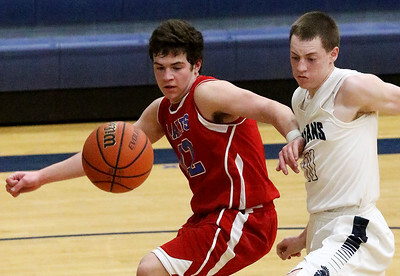 Matthew Apgar - mapgar@shawmedia.com Cary-Grove's Quinn Celske, right, dribbles around Michael Behrendt of Lakes during their boys basketball game on Monday, Jan. 25, 2016, at Cary-Grove High School in Cary. 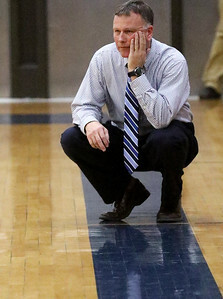 Matthew Apgar - mapgar@shawmedia.com Cary-Grove coach Ralph Schuetzle watches from the sidelines as the Trojans battle the Lakes Eagles during their boys basketball game on Monday, Jan. 25, 2016, at Cary-Grove High School in Cary. 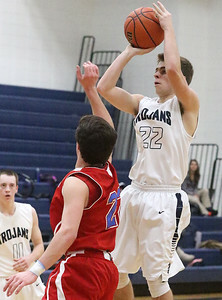 Matthew Apgar - mapgar@shawmedia.com Cary-Grove's Danny Schmidt takes a shot on the hoop against Lakes during their boys basketball game on Monday, Jan. 25, 2016, at Cary-Grove High School in Cary. 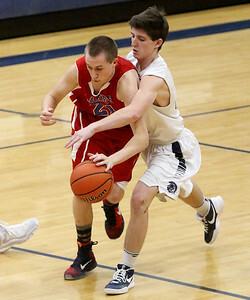 Matthew Apgar - mapgar@shawmedia.com Kyle Rohr of Lakes, bottom, makes a pass around Cary-Grove's Quinn Celske during their boys basketball game on Monday, Jan. 25, 2016, at Cary-Grove High School in Cary. 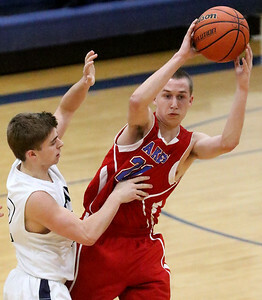 Matthew Apgar - mapgar@shawmedia.com Colton Jewell of Lakes delivers the ball to the hoop during their boys basketball game against Cary-Grove on Monday, Jan. 25, 2016, at Cary-Grove High School in Cary. 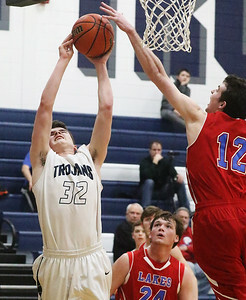 Cary-Grove's John Walsh, right, shoots the ball over Michael Behrendt of Lakes takes on Lakes during their boys basketball game on Monday, Jan. 25, 2016, at Cary-Grove High School in Cary.